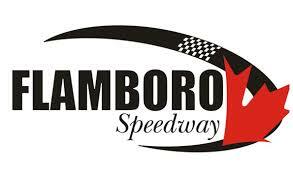 Andy Kamrath continues to add to his number of wins this year, scoring the victory in the Autumn Colours Classic Mini Stock 50 at Peterborough Speedway. A b-main was needed to set the back half of the field due to the number of cars on the property. With only four cars transferring, it was promised to be filled with drama, and that started right from the drop of the green flag with Thomas Dunn going around on Lap 1. Gil Brooks broke out to the early lead ahead of Rob Wells and Issac Dippel. Dippel would move into second on Lap 3 ahead of Wells, with Terry Woodley holding the final transfer spot ahead of Dan Demers, Calvin Gordon, and Ken Townsend. Robert Greenfield began to move forward, moving into sixth on Lap 5 ahead of Gordon and Townsend. Woodley would get alongside and pass Wells, with Demers looking to be the next one through. Unfortunately, there’d be contact, with Wells and Demers coming together in turn one for the first caution at Lap 7. With 13 laps to go, Brooks led Dippel, Woodley, Greenfield, Townsend, Gordon, Peter Wakeling, Dunn, Pat MacDonald, Demers, and Wells. The restart saw the caution come out as Dunn would turn Wakeling, causing him to ride the side of Gordon, catching air with the rear end as he landed, before being hit by MacDonald. Townsend and Wells also got damage in the process. The shuffled running order saw the top-six unchanged with Demers up to seventh ahead of Wells and Dunn. The second attempt at a restart was clean with Brooks and Dippel side-by-side for the lead, as Woodley and Greenfield battled for third. Woodley got the spot on Lap 9 ahead of Greenfield, with Demers alongside Gordon for fifth. Demers moved into fifth at the halfway mark ahead of Gordon and Townsend. Dunn took seventh from Townsend, before getting alongside Gordon for sixth. Dippel would clear Brooks for the lead on Lap 12, as Woodley ran third ahead of Greenfield, Demers, Dunn, Greenfield, and Townsend. Greenfield would get back alongside Woodley for third with five laps to go, completing the pass two laps later. Tyler Dippel took the victory ahead of Gil Brooks, Robert Greenfield, and Terry Woodley to transfer to the main event. Dan Demers, Thomas Dunn, Calvin Gordon, Ken Townsend, Rob Wells, Don Yorke, Peter Wakeling, and Pat MacDonald would fail to transfer. The main event would see Andy Kamrath start pole ahead of Ryan Oosterholt, Cory Young, Craig Kamrath, Warren Paxton, the 00, Jake Gilbert, Kent Missons, Chandler Bos, Pat MacDonald, the 03, Nolan Gould, Dylan Holmes, the 49, Joe Dunlop, the 06x, Andrea Parsons, Miles Tyson, Jassen Whyte, Jake Watson, George Novis, Cory McAllister, the 9, Tiffany Vanderbelt, Tyler Dippel, Gil Brooks, Robert Greenfield, and Terry Woodley. The first lap would see a big wreck in turn four, collecting Parsons, Novis, Dippel, McAllister, Brooks, Tyson, and Watson. The second attempt to start the race went smoothly with Kamrath leading Oosterholt, as Young and Paxton battled for third. Paxton got the spot on Lap 2 ahead of Young, but the caution came out a lap later for an incident in turn four. Missions would spin McDonald, with the 06x spinning, and making significant contact with the wall. The restart wouldn’t go smoothly as Whyte tagged the 03x, but they were both able to keep going. Kamrath would hold the advantage over Oosterholt, Paxton, and Young, as Gilbert battled the 00 for fifth. Gilbert got the spot, with Gould following him through to bump the 00 back to seventh. The 9 would run eighth, as Brooks and Holmes battled for 10th. Holmes got the spot on Lap 9, with Woodley following him through two laps later. Brooks now ran 12th ahead of Watson, Whyte, Greenfield, and Vanderbelt. Whyte would get alongside Watson for 13th at Lap 13, with Vanderbelt alongside Greenfield two laps later. There’d be battles through the field as Gould got alongside Gilbert for fifth at Lap 15, taking the spot one lap later. The 00 ran seventh ahead of the 9, Holmes, Woodley, and Whyte, as Watson battled Brooks for 12th. Watson got the spot, set to challenge Whyte for 11th. The battle would go on for a couple of laps, with Watson tagging Whyte a couple times, eventually ripping the rear bumper off. Going through turn one and two, Whyte would then dump Watson on Lap 28 for the third caution. Andy Kamrath got a good restart ahead of Oosterholt, with Paxton moving into third, but the caution came out on Lap 30 for Phinnemore slowing after he climbed the backstretch wall. The restart would come at Lap 33 as caution laps were being counted due to time limit, with Kamrath getting another good restart ahead of Oosterholt and Paxton, as Gould moved up into fourth ahead of Gilbert and Holmes. Gilbert would get sideways on Lap 36, allowing Holmes to move up into fifth ahead of Young and the 00, with the 9 alongside Gilbert. The 9 took eighth on Lap 39 ahead of Gilbert, with Vanderbelt next in line ahead of MacDonald and Woodley. Vanderbelt’s race came to a crashing halt on Lap 43 when she climbed the turn three and four wall for the fifth caution. The restart would come two laps later on Lap 45, with Andy Kamrath leading the rest of the way en route to the victory ahead of Warren Paxton for a KP Motorsports 1-2 finish. Ryan Oosterholt finished third, followed by Nolan Gould, Cory Young, Dylan Holmes, Jake Gilbert, the 00, Terry Woodley, Chandler Bos, and Cory McAllister.